As part of our topic on 'Our World' year 1 have been exploring different skylines. We have looked at different artists' work such as Barabara James and L. S Lowry and made comparisons between urban and rural skylines. Take a look at our fantastic gallery! This week Nursery have been learning about Diwali. We looked at special diva lamps and sung a song all about light. We had a special talk and watched the candles being lit. We also enjoyed dancing to bhangra music and exploring the story of Rama and Sita. After half term we will be starting our new 'colour' topic. We will begin by learning about fireworks and talking about how we can stay safe on Bonfire night. Thanks for reading from ALI secretary of school council. We enjoyed a wonderful day on our geography field study trip to Shirley. First stop was the brilliant new library to see how the new building at Park Gate had changed the geography of the park area. We saw the part computers play in the running of the library; this fitted in with our Digital Literacy unit in Computing where we've been looking at technology in our lives. After that, we recorded images and sounds of the park's human and physical geographical features, and made audio notes by using the amazing Book Creator app on the iPads. Although most of us had been to Shirley Park before, looking at its Geography certainly helped us to see it and appreciate it in a new way. Nursery have been busy collecting autumn treasure on the way to school this week. We have been busy investigating the different items, and talking about what is the same and what is different. What coloured leaves can you spot? 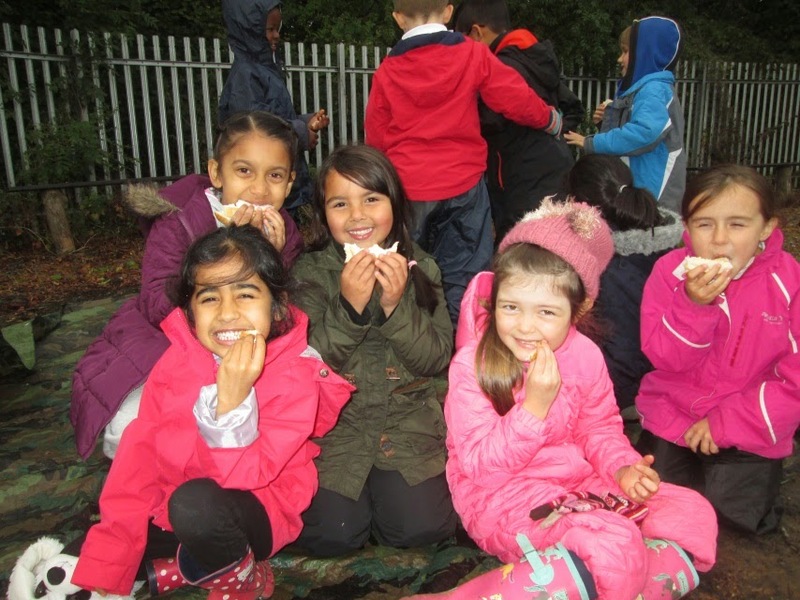 Forest School are Buzzing about Bees! 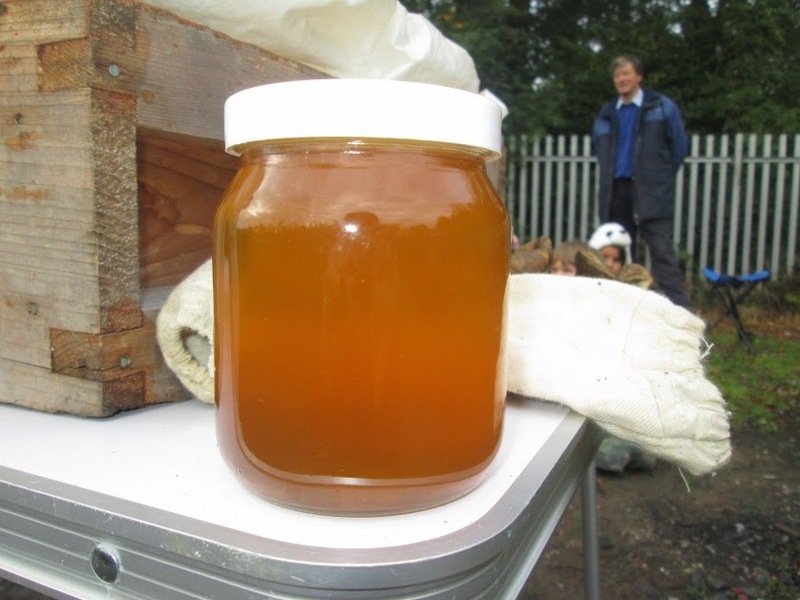 On Wednesday, our Year 2 Forest School went to the allotments to meet our bee keeper friend, Colin Smith, to find out all about his bee hives and how his bees make yummy honey. 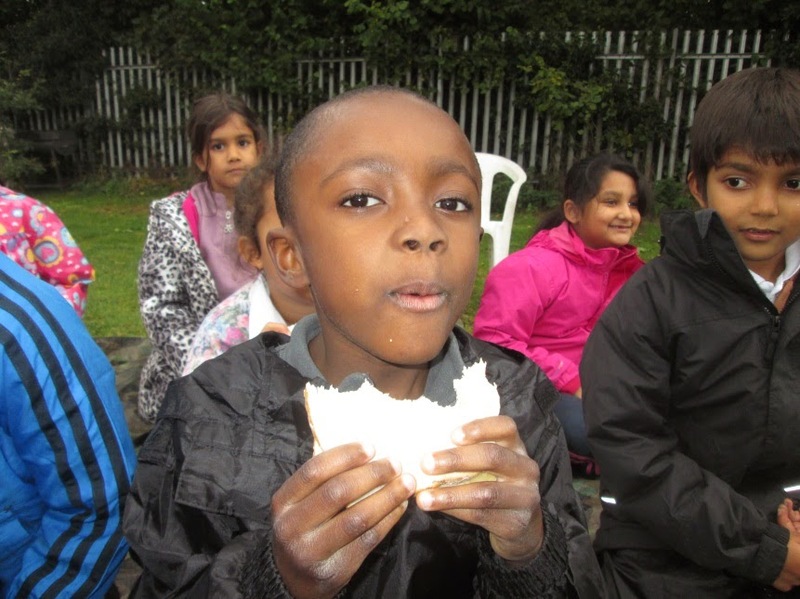 We learnt so much and we all really enjoyed eating honey sandwiches with him! 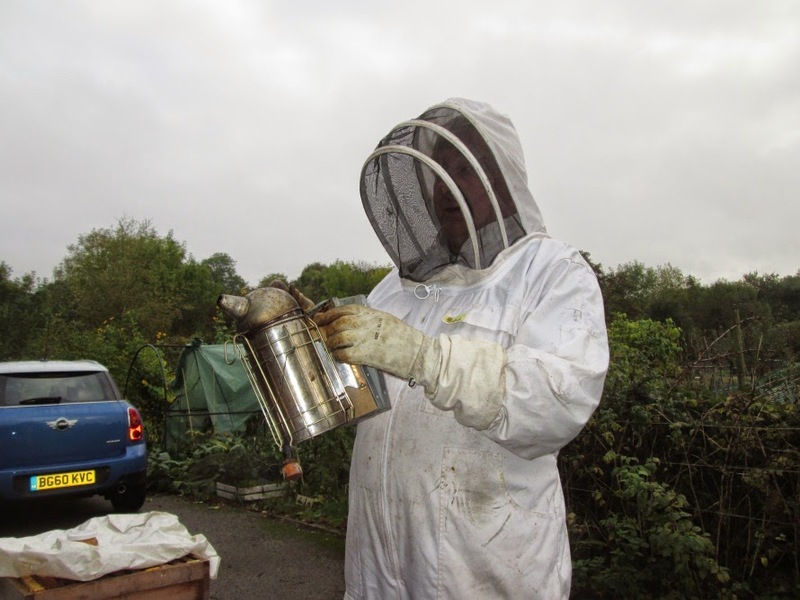 Colin's hives house 50,000 bees and this year alone they have produced 320 jars of delicious honey. 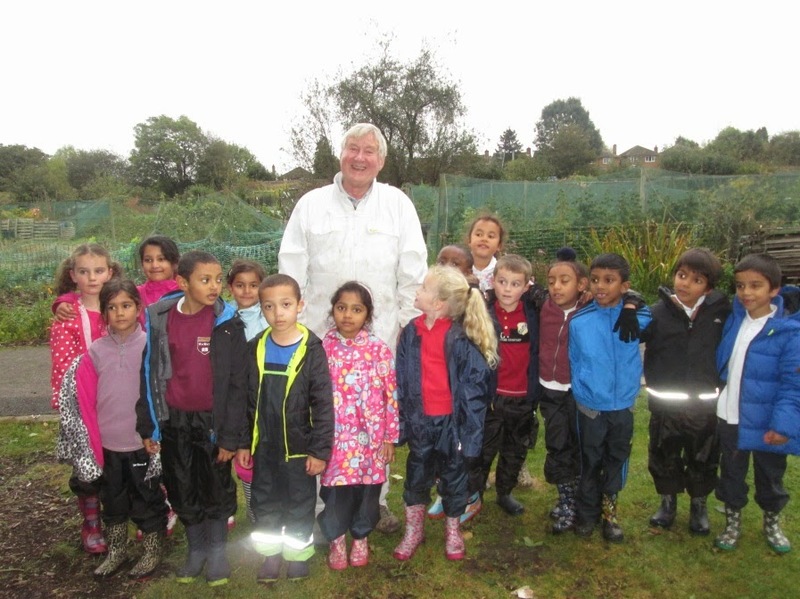 We had a fantastic time learning from Colin, and got to sample some very tasty raspberries too. 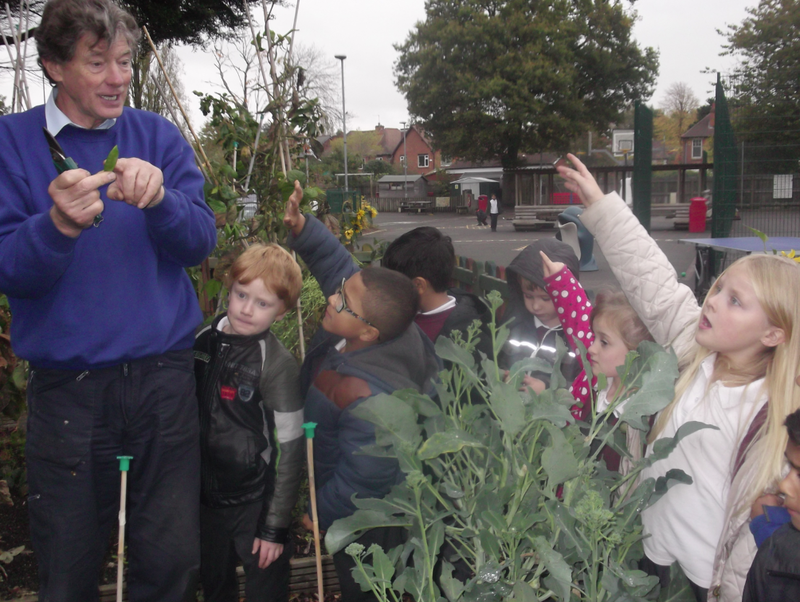 We are so grateful to our friends at Scribers Lane allotments for welcoming us there and the children are learning so much about growing and harvesting fruit and vegetables. 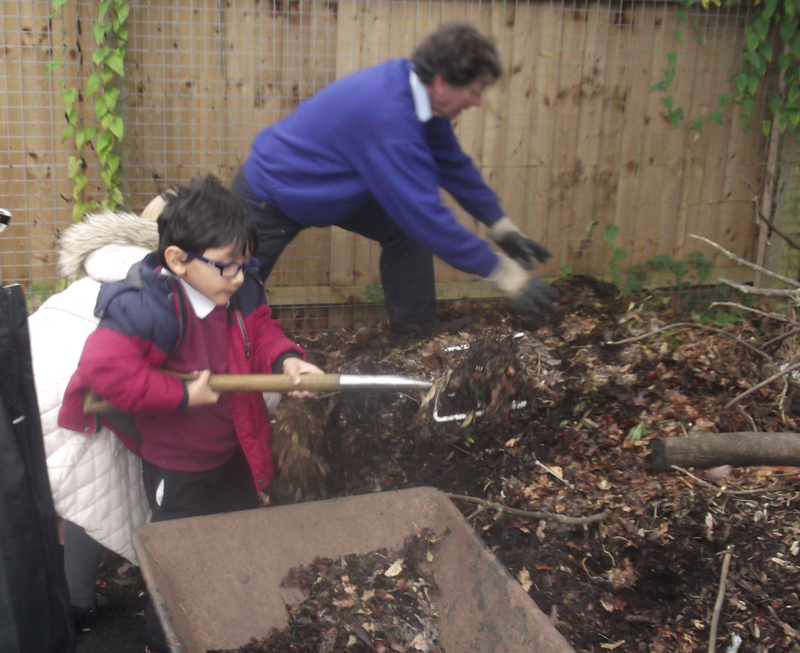 Dave our school gardener has been helping too and the children really enjoyed helping him back at school. Honey is actually bee sick! The queen bee lays 1,500 eggs a day! Male bees are called drones and don’t leave the hive. It is female bees who collect nectar and can sting you... But they only sting if they are threatened. 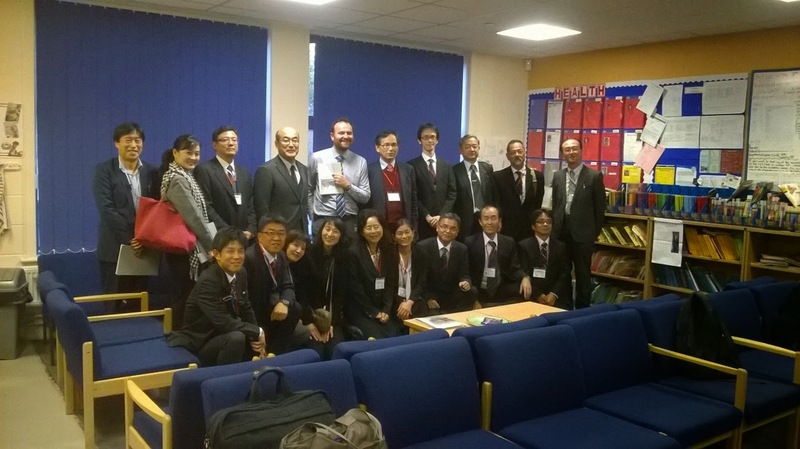 A delegation of Japanese educationalists, teachers and headteachers had a tour of the school late Friday afternoon as part of a one week visit to the United Kingdom. Even though the children had gone home, I was still immensely proud of the school as the bright and stimulating environment demonstrated the hard work and creativity of the children and staff. Our visitors were hugely impressed with the use of technology in the school along with the way the school's vision and values underpin the day to day work of the children and staff. 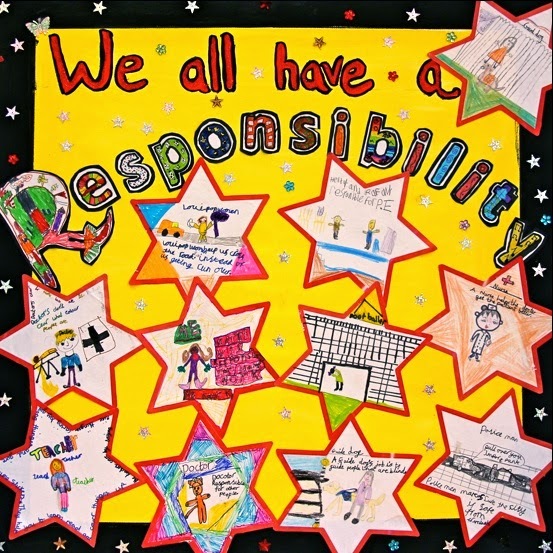 The 'Value of the Month' for October is responsibility. I would like to hear about the things you are responsible for both at home and in school. 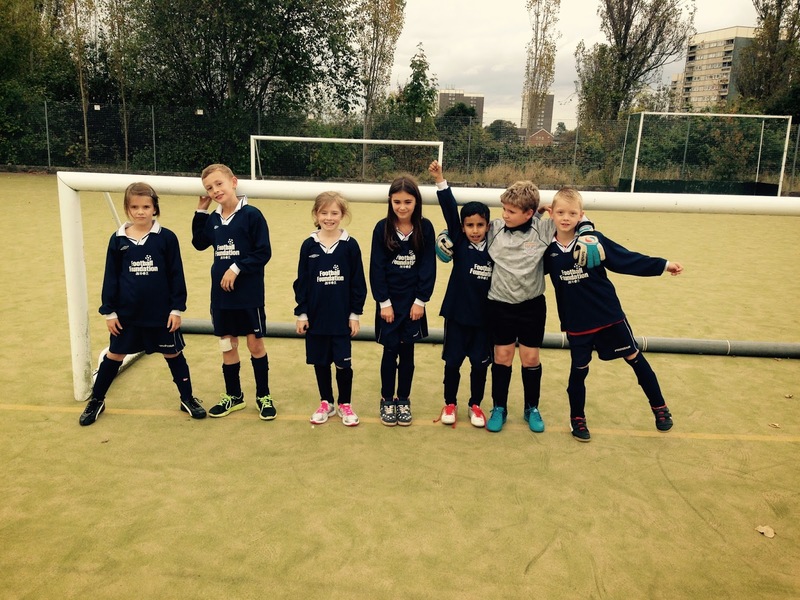 On Friday the 10th October the Chilcote boys football team played against St Bernard’s Primary School. The match was a 7 a-side game, 20 minutes each way. St Bernard’s started the match well and dominated the early stages without really threatening the Chilcote goal. After 10 minutes Chilcote woke up and had a few attacking moves of their own. They threatened with a one on one before Johnny scored the opener. Johnny then put Chilcote 2 v 0 up with a nicely taken strike from just outside the area. Leo and Bradley were making their pace count on the wings. After half time Chilcote cranked up the pressure and Johnny added his, and Chilcote’s third after rounding the goalkeeper. Ali and Max did really well in defence to limit St Bernard’s to very few attempts on goal. In the end Chilcote won 3v0 and played some great football at times. A good start to the season, well done boys!!! Today Nursery have learnt about how some children celebrated Eid with their family recently. We came to school in our party clothes, shared photos and talked about what makes us special. We had a special talk from a Mummy about Eid and looked at some lovely costumes and lanterns. 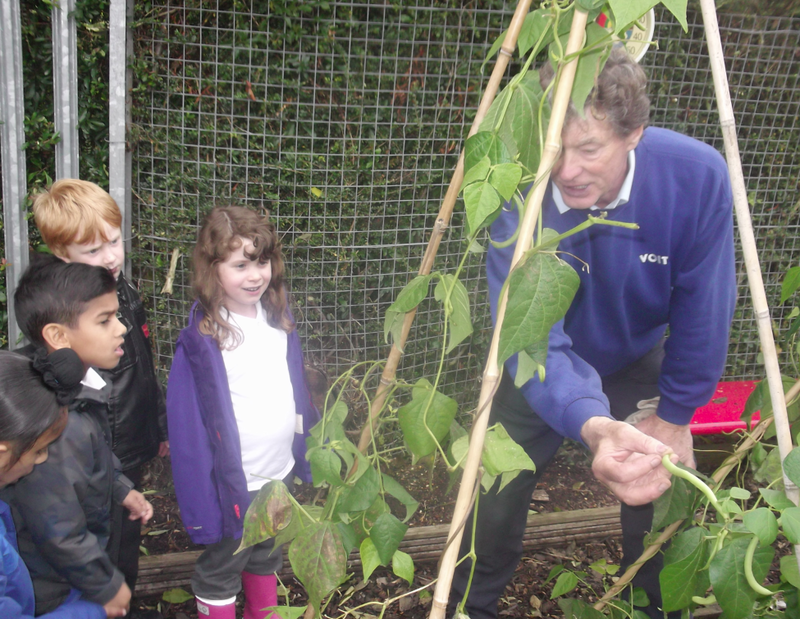 Nursery had great fun on Wednesday when we went on a 'Listening Walk' around the school. 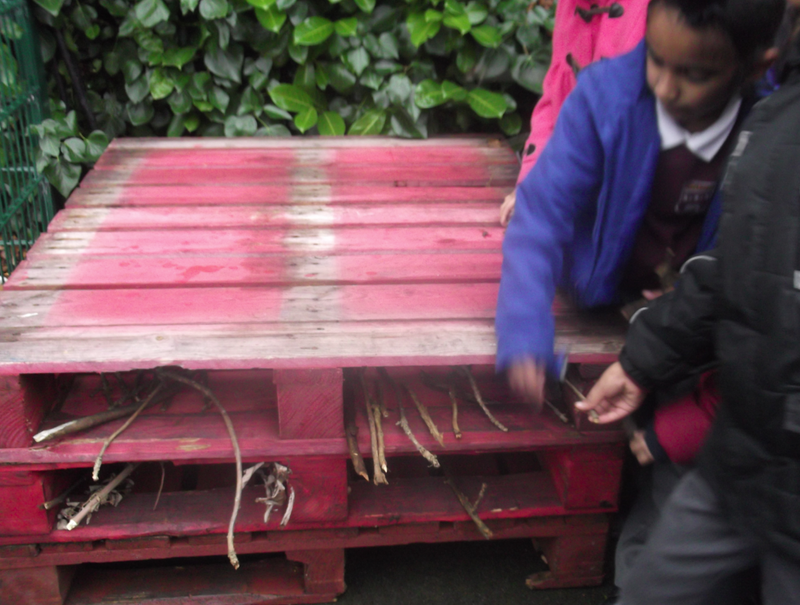 We tried hard to tune into the sounds around us and identify what they were! We heard birds tweeting, our feet stomping, the playground bell ringing and children talking. We did very good listening! 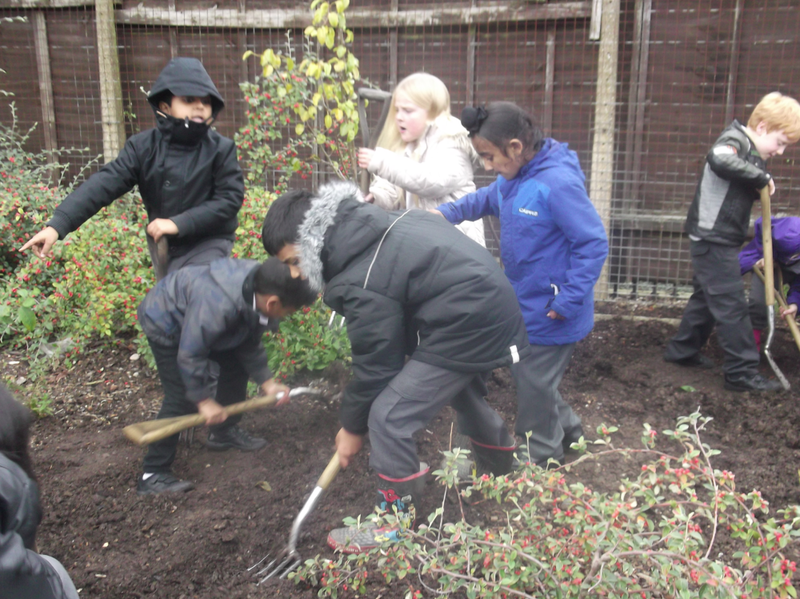 On Monday 6th October, Year 6 went on a terrific trip to Tesco! Everybody enjoyed It; one of our favourite parts was when we got to go into the freezer - it was extremely cold and everybody came out feeling like a block of ice! We also tried lots of delicious foods including different types of cheese (5 Counties, Applewood and Mature Cheddar). Then we went into the bakery and iced some wonderful cookies, which we got to take home at the end of the day; also in the bakery we learnt how they make their appetising bread, and it was very interesting. 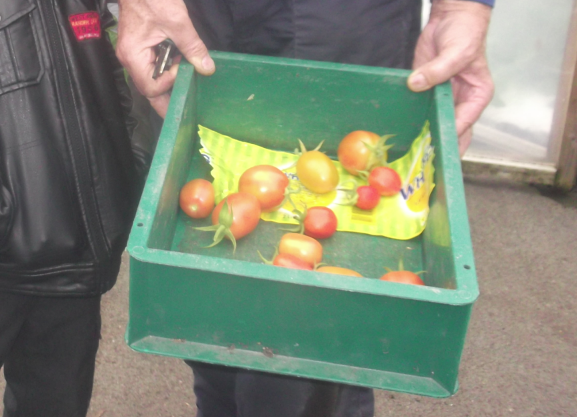 After we had been in the bakery we went to look at different fruit and vegetables. 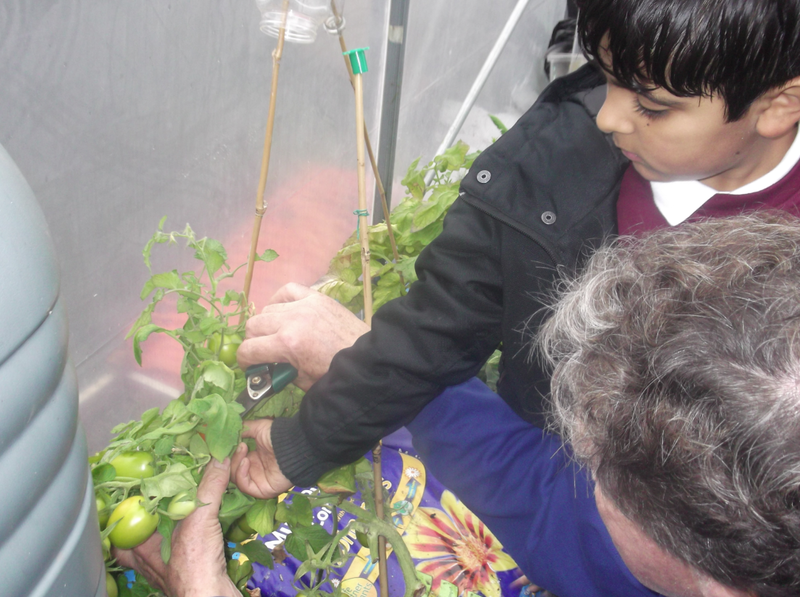 We learnt where the fruit and vegetables came from and what they grew in or on (did you know that grapes and tomatoes both grow on vines!!). After that, we walked over to the fish section and looked at all the slippery and slimy fish! We were offered some gloves and then touched the trout fish (some of us put our fingers in its mouth; it was gross!). Last but not least, we went upstairs into the staff room and tried lots of delightful fruit and bread (including tiger, soda and brioche bread). We really had a great time and enjoyed it so much! P.S. Did you know that 80% of a grape is water!! Last Friday was our first School Council meeting (it was exciting to see our new representatives of our school). Our subject this week was to introduce ourselves to the other councillors, elect the chair person and secretary and then talk about new equipment for huff and puff. If you want to recommend new equipment for huff and puff then talk to your class councillor during your Class Council next week. I hope you will share some brilliant ideas about huff and puff! On Wednesday 1st October some year 4 children (Lily, Ailish, Nicole, Harry, Rayan, Damian and Cian) represented Chilcote in a Baverstock sports partnership mixed 5-aside competition at Baverstock Academy. The tournament was a round robin event with the children playing 3 other schools. In the first game the children played The Oaks primary school and raced into a 3v0 lead. They then let a goal in, which meant it was 3v1 at half time. In the second half The Oaks were reinvigorated and managed to get back on level terms. Chilcote retook the lead only for The Oaks to score another equaliser. Then, with only a few minutes remaining Chilcote won the game with a penalty kick scored by Damian. The match ended 5v4. In the second game (against Kings Norton) it was much the same as the first with Chilcote racing into a 3v0 lead, thanks to a hat-trick from Cian. Unfortunately, the children let the lead slip, and this time they couldn’t recover it so went on to lose the game 5v3. They had chances to get back into the game in the second half but couldn’t find a way past the Kings Norton goalkeeper. Finally, the children played Hollywood, they again took an early lead and then throughout the first half extended the lead to 4v0. Hollywood regrouped in the second half and scored 2 goals back. Chilcote then responded with 2 more goals of their own, meaning the match ended 6v2. Chilcote finished the tournament as runners up to Kings Norton primary, so a big well done to all of the children involved!! !